For this week's Pinterest challenge I'm focusing on the lovely state I live in, Queensland. It's such a large state with a diverse land, but seeing as Australia Day is coming up quickly I'm going to focus on the areas I love most. 1. 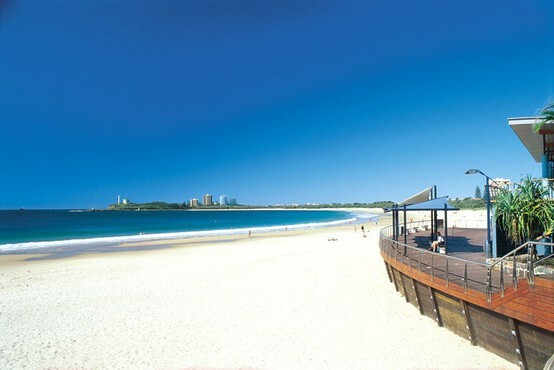 Mooloolaba Beach, Sunshine Coast. I used to live in the Caboolture area where the Sunshine Coast was closer than the Gold Coast meaning friends and family would often have mini escapes up there. Unfortunately that doesn't happen very often now, especially as the mister and I both have family on the Gold Coast. It's such a stunning area though and a wonderful escape from reality. 2. Bribie Island. Bribie was the closest beach to where I grew up so a lot of my childhood was spent there. There's both a calm and a wave side which makes it perfect for families. Good fishing can be had at Bribie too as well yummy ice-creams and good Blues bands. 3. 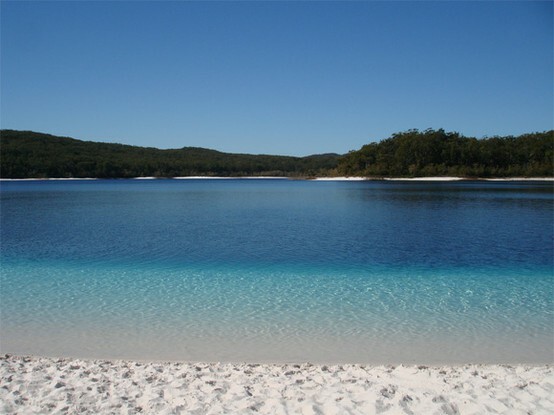 Lake Mckenzie, Fraser Island. 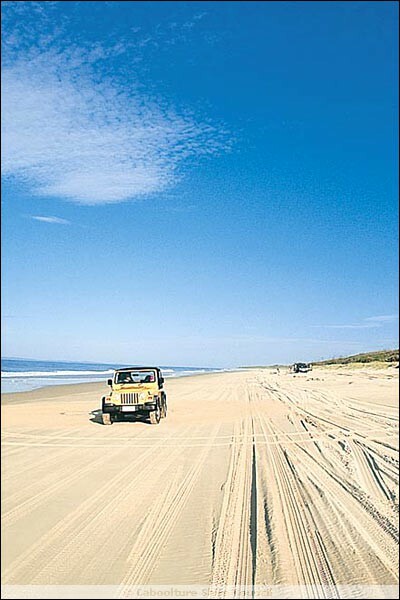 My favourite area of Fraser Island. I've never seen anything like it. The sand is so soft and soothing while the water is just so bright and clear. Absolutely beautiful! If you stay at Fraser I highly recommend going to Lake Mckenzie, it's simply amazing. 4. Southbank, Brisbane. The closest 'beach' we have here. Also, the area where the mister works. We are so fortunate to live within bike riding distance to Southbank. After the floods the beach was closed for months while they revamped it. 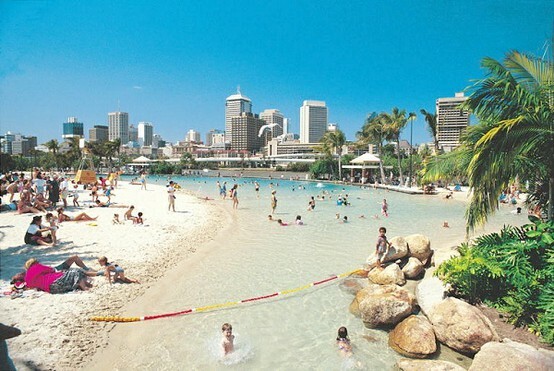 It looks amazing though I'm still yet to venture back into the water there. Maybe later this month we'll have a family picnic and swim there. 5. Gold Coast. 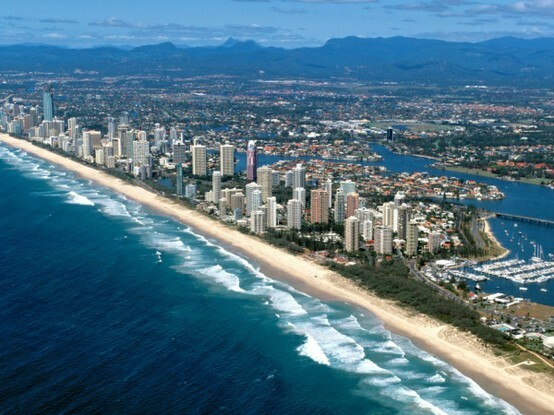 I adore the Gold Coast. So many wonderful beaches and places to explore. We tend to stay away from Caville Avenue and the tourist areas though. I've been to Schoolies, stayed in apartments in the centre of everything and while it's fun occasionally I much prefer to haunt places where the locals go. Shopping on the Gold Coast is amazing as well! Do you have favourite places in your home state? So very jealous right now. Both myslef and hubby would love to move up to queensland but it just isnt possible yet. Aaaaand I definitely had to quit pinterest because it was becoming my own version of "Second Life." Favorite places in my home state? Oklahoma.... Uh... not really. I've made peace with it's mediocrity, but nothing favorite comes to mind. Probably my bed, if that can be defined as a "place."